The digital looping background, which is fed to the studio’s video walls, features the simulated whitewashed brick the show has used for a variety of looks, parks the show’s logo set inside a deep blue circle with white and lighter blue ring segments rotating around it. 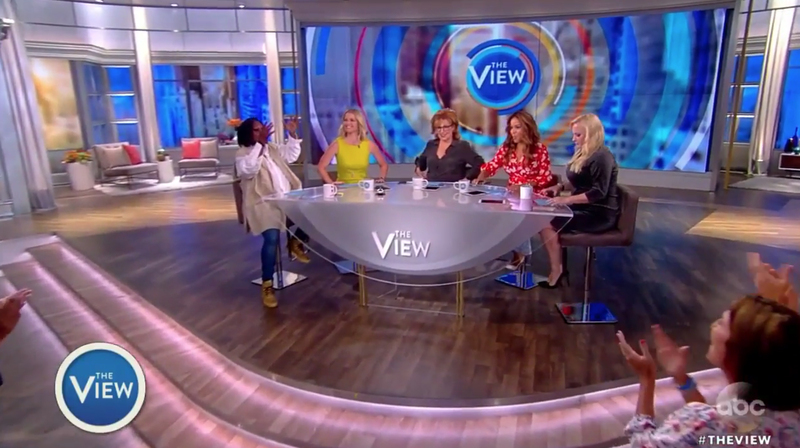 “The View,” which switched to an iteration of its current circular logo with its 2014 makeover, which was heavily modified over the years, now uses a bright blue circle with its name in the center. On set, during the ABC show’s opening “hot topics” segment, the video wall normally shows a looping image with the logo in the center and colorful rotating ring segments surrounding it. 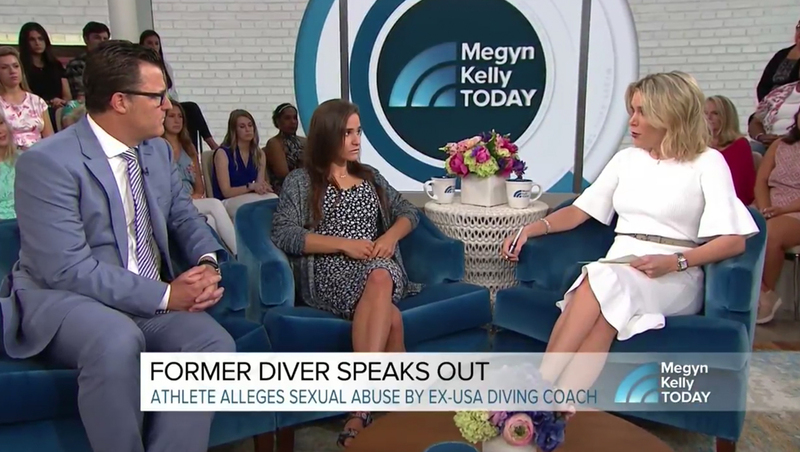 ABC’s graphic does rotate much more slowly than the one at “Megyn Kelly Today,” has more ring segments and also uses a broader color palette against its blurred cityscape background.